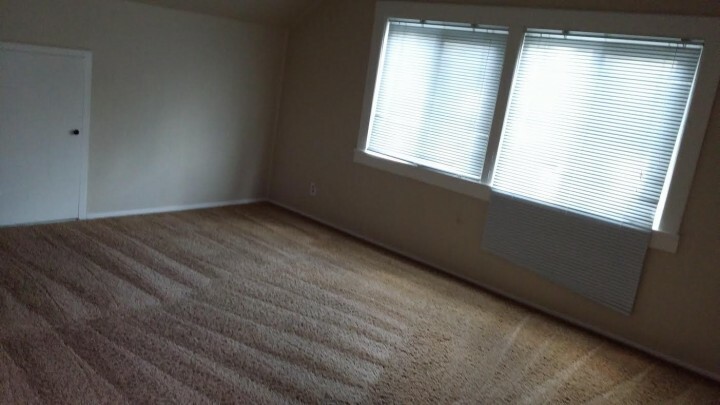 Praise Cleaning Services is proud to provide carpet cleaning in Beaverton Oregon. You deserve a clean carpet. Your Beaverton family deserves a healthy carpet. Embedded in your carpet are minute pieces of dirt, hair, dead skin, dust, mites, bacteria and more. There are many ways to clean your Beaverton carpet, but Praise Cleaning Services utilizes the most effective processes and products to get the job done right. When it comes to fast, thorough carpet cleaning in Beaverton OR, no one beats Praise Cleaning Services's carpet cleaning service. 5★★★★★ - "I am very impressed...I own a commercial cleaning company but am without a truck mount, the rep has great customer service skills and the service itself was excellent. I will refer and utilize for future services! 10 out a 10!" 5★★★★★ - "My renter is very satisfied with Mr. Uvar's service." 5★★★★★ - "Quick & Professional. Praise was able to respond to a last minute request for carpet cleaning. They did a fantastic job at a reasonable price." 5★★★★★ - "Great service. Fast response. Friendly people. Reasonable price. They were quick and thorough. Would recommend to anyone. Great job!!" 5★★★★★ - "Was my first time getting my carpets cleaned, and they showed up the same day! Very awesome job done and couldn’t be happier with it." 5★★★★★ - "Their service was great & reliable came earlier than expected, they made my carpet look like new, thank you"
5★★★★★ - "Excellent carpet and sofa cleaning! Such a thorough, professional carpet and furniture cleaning! Every piece of furniture and rooms of carpet are done completely, and so clean and fresh. Thanks!" 5★★★★★ - "Easy, fast, reliable quality at affordable rates. I sent a quote request to all the companies around. Praise Cleaning replied quickly and their rates were super competitive, I wouldn't say cheap because that implies "you get what you pay for". Not here! Great quality service at affordable rates, what more could you want? I was even able to set up the appointment remotely as I had already moved out and couldn't be present at the time of service." 5★★★★★ - "Excellent service and great affordable prices.Offered a friendly service and cleaned my carpet really well." 5★★★★★ - "Excellent service! I was totally happy with the services provided by Praise Cleaning. Uzor and his staff were very professional. They showed up on time and completed the work efficiently, and the price was quite reasonable. They did even more then I had expected. Thank you." 5★★★★★ - "Friendly and professional gentleman cleaned our carpets. He pretreated the carpet and got out all of the stains, making our once dirty carpet bright and clean again." 5★★★★★ - "Immediate service on a weekend. We called on a Saturday with a plan to leave a message to schedule an appointment. We were pleasantly surprised when someone answered and we were able to schedule 2 hrs later. The technicians were fast and professional, evening cleaning an area rug not previously discussed for the same price." 5★★★★★ - "Great cleaning and carpet job! Needed someone to clean our town home and clean all the carpets for move out, and they did a fantastic job! Everyone was nice and the house was sparkling afterwords. It was a very reasonable price as well! Would definitely recommend." 5★★★★★ - "Great communication! Praise Cleaning was able to work with me in a short amount of time, thoroughly done carpet cleaning, thanks!" 5★★★★★ - "Supporting small local business! Uzor was very nice and professional. The price was more than I thought I'd ever spend on stairs but it was worth it to have the Tom cat smell go away." 5★★★★★ - "Wonderful. Friendly and wonderful experience." 5★★★★★ - "The cleaners from Praise Cleaning Services came in on time, gave me an excellent deal, and made sure that everything was sparkling clean before they left." 5★★★★★ - "Last night Uzor cleaned my carpet. I've got very dirty carpet and he makes it all shine again.He did an excellent excellent job! He was honest and hardworking, and the price was very reasonable. I highly recommend Uzor and Priase Cleaning Services. DO NOT look else where! Give Uzor a call and he'll take good care of you! The best carpet cleaning service you can find in town... I will definitely recommend Uzor to all my families and friends! Thank you so much, Uzor!!!" 5★★★★★ - "I called and got an appointment the next day. They came and cleaned carpets, couches, beds to my full satisfaction. You will get ball-park prices over the phone, but be prepared to negotiate the actual price just before they get started cleaning"
5★★★★★ - "Very Good! I made an appointment and had to to cancel a couple of days before the date. Praise cleaning had no problem with this request. They rescheduled my appointment, showed up on time, and did a great job. I would reccommend them." 5★★★★★ - "Great job cleaning all the areas I didn't want to or couldn't without equipment, really helped sell my home. Breathed new life into my carpets. Took care of all the kitchen appliances I couldn't get to. Of course I went over everything myself a few more times after, but it was that much easier because of the initial clean." 5★★★★★ - "Praise Cleaning Services did an excellent job cleaning our carpets. With kids, dogs, and white carpet, you can imagine what they looked like. With extra tough stains, Eric went above and beyond, by making a couple of extra trips, to ensure that all of our stains were removed. He was prompt, professional, and his rates were so reasonable. I can't way enough positive things about our experience and will definitely recommend them to others." 5★★★★★ - "Excellent carpet treatment and customer care. I would recommend using this company. They did excellent work." 5★★★★★ - "I was so impressed with the work they did for me. I was baby sitting a dog that didn't get the idea of going outside for their business. I had worked with several products i.e. Urine Out, XO and others and couldn't get rid of the odor. Had Praise clean my carpet and what a difference. I didn't realize how bad the odor was until it was gone. Thank you Praise." 5★★★★★ - "Uzor's response time is the best we have ever experienced. His work is very timely, quality and a very good value. Would definitely recommend and we will use Uzor's service again." 5★★★★★ - "Praise Cleaning Services is great. Uzo was able to squeeze in a last minute appointment for me and he did a very thorough job helping me clean my carpet. He restored it to looking fresh and brand new. The final results are spectacular. This was my first time using them and the prices were good. I'd recommend them highly." 5★★★★★ - "I was looking for someone to clean the carpets in our motorhome. He came out to our house the same day and cleaned the carpets. He did a great job getting the stains out of the carpets and now our motorhome is almost ready to sell! He even worked on a stain on the carpet in our house for no additional fee. He charged less than the other companies we talked to. I would definitely recommend him to anyone looking for a carpet cleaner." 5★★★★★ - "Uzor called me immediately after I submitted my request to Service Magic and offered to clean my carpet fo $80. He came out the next morning and did an excellent job! I will be using him again!!" 5★★★★★ - "They came in they followed directions and they did a supurb job. for 80 dollar I saved a ton of money and got great service. Thanks!" 5★★★★★ - "Very prompt service, worked hard to clean our old chairs and they looked great." 5★★★★★ - "Prompt and professional, very fast." 5★★★★★ - "They did just what I asked." 5★★★★★ - "I love the service I experienced with Praise Cleaning Services. My home was move in ready at the conclusion of their work. They were very reliable and we very flexible with my tight schedule. I would be CRAZY not to call on them again for future business." 5★★★★★ - "great work. bathrooms are shining like new. thanks!" 5★★★★★ - "I found Praise Cleaning Services online and messaged him for a quote. I didn't expect an answer for a while, but he responded extremely quickly with a basic quote for a move out cleaning. Uzor was extremely responsive and we set the appointment via text. Day of, I had forgotten to leave the door unlocked and after a quick phone call, we rescheduled for later that same day. He called that evening letting me know that they had cleaned but that the cleaning was more than what he was expecting so it took them a little longer. I was completely ready to pay a little bit more, but he told me, "You know what? We won't charge you any extra for it. Just pay from the quote. We did our best but sorry we couldn't get everything up." I went back to check on it and it was absolutely stunning. They did such a good job, I kind of want to move back in! There was one little spot on a counter they couldn't remove (which I expected wouldn't come up) but other than that, it was spotless. I highly recommend this company. Plus they have mobile payment options :)"
5★★★★★ - "Uzo and his team came thru and cleaned up really well this is legit !! Thanks, guys"
5★★★★★ - "I called 2 months ago to inquire about pricing. Was given a quote, when I called back to schedule service for a move out cleaning the quote stayed the same. The gentleman showed up last night and said they would start and finish in the morning. Went in the morning to see how they were doing and the house 2600sf+ was completely cleaned. They got stuff off that was stuck in I was unable to get off. Carpets had numerous spots and they were able to get 95% of the spots removed. (Carpet is 18+yrs old and white.) stop looking elsewhere if you want your entire house spotless when you have to turn in to a landlord, or if you have sold your house getting it ready for the new owners." 5★★★★★ - "He did a good job of cleaning overall he was a nice person." 5★★★★★ - "I was soooo happy on Uzor's tactics and was impressed with his speed and consistency & his friendly manner. I would recommend and call them again for their services! Thank you"
5★★★★★ - "I spoke with Uzor and he not only hooked me up with a small discount but did an outstanding job cleaning my apt. Looks like I'm getting my deposit back! Great job, nice people, easy and quick to set up. Would recommend to family and friends." Best price in town, good service. I called at least five places and was quoted up to $400. But praise cleaning only charged me $120. From what I can tell they did an excellent job in a timely manner. The only room for improvement could be communication. It took several messages before they told me what time they were coming and then they were an hour late on the arranged day. I guess that means they're popular if they were running that far behind. I'm satisfied and would work with them again should the need arise." 5★★★★★ - "Awesome!! Very good service! They were very fast! Very efficient! They got all the smells and stains out of my carpet! I am very very happy with their service and what would recommend them to anyone!" 5★★★★★ - "Easy to schedule and a good cleaning. It was easy to schedule the cleaning. The initial people we had schedule canceled, so it was nice that they were able to come out on the day scheduled. They did a good job cleaning the house and the carpet - though they forgot the living room. But he was out right away to take care of it. Very satisfied with the work"
5★★★★★ - "Excellent Customer Service. Finally! A Cleaning Service that is reliable, friendly and dependable. I have nothing but PRAISE for Praise Cleaning Service." 5★★★★★ - "The cleaning was great. Quick and easy to schedule. Cleaned the entire interior of our trailer. Including mattresses/ upholstery. Well worth the expense to start the season off clean. Will be using this company every year!" 5★★★★★ - "I had Praise Cleaning clean the home of a rental house. The home was very dirty and the carpets smelled like dogs. Praise Cleaning did a thorough clean for the house and windows. They also cleaned and deodorized the carpet. Looks and smells great now!" 5★★★★★ - "Excellent Services!! I used this company to have my furniture cleaned and they did an great job! Then I hired them back to power wash the driveway. The owner is very friendly and honest. Uzo went above and beyond to accomodate me. The employees work hard and do an amazing job and their fees are reasonable. Its nice to know there are still companies with honest people and good work ethics. =) I would highly recommend PRAISE!!!" 5★★★★★ - "Praise Cleaning Services came and power washed the front of my house/siding and driveway. They did an excellent job, I stood outside for 10 minutes admiring their work. Very professional." 5★★★★★ - "We bought a used couch and the men from Praise Cleaning Service made it look and feel brand new. They have the most reasonable prices around. We'll definitely use their services again in the future." 5★★★★★ - "I could tell that I hired the right company today when I saw the driveway and courtyard I was amazed by how nice our home looked again! It is definitely the best it’s looked in years. Thank you for the expert job power washing, we will definitely contact you and your team for all future cleaning jobs, and recommend you to all our friends and neighbors. Please thank the gentleman who worked his magic with the for us." My scheduled move-out cleaners were a no show and I was lucky enough that Uzor could make time for us. I should have called these guys the first time. They did a great job with the move cleanout and carpets. Uzor provided updates and followed-up with me on status when he said he would. I would use them again in a heartbeat." 5★★★★★ - "The worker was pleasant, helpful, and did an excellent job!" 5★★★★★ - "Most beautiful driveway on the street! Our driveway looks amazing, the job was done efficiently and in a timely manner. Thank you Praise Cleaning!" 5★★★★★ - "Excellent Deep Cleaning of the whole house. Cheaper than competition. They cleaned the whole house from ceiling to floor paying attention to the smallest detail, incl. inside of oven, fridge, cabinets, drawers, and window frames. Finished with deep cleaning of the floor and did so at a very competitive rate." Praise Cleaning Services did an amazing job of cleaning my driveway, walkways, and sidewalks. They made my dirty, moss-covered driveway look better than my neighbors who spent thousands to have their driveway resurfaced! I was so impressed - they were professional, worked quickly, were extremely thorough, and when they left not even a bit of bark dust was out of place. My driveway and walkways not only look great, but are now safer." 5★★★★★ - "I would recommend praise services to others and will definitely hire again. Uzor did an amazing job on my tile floor deep cleaning and seal coating. My floors look brand new, just as they did when I purchased my house. The floors are ten years old. Thank you again and again! I was shocked to read the low rating by the previous reviewer. Because I had a completely opposite experience." 5★★★★★ - "Great company, great service! I have an older class A motor home that was in desperate need of cleaning after I had allowed someone to live in it for a year. It was very, very dirty and the carpet was so bad I thought I would have to replace it, not to mention the bad smell from smokers. I called Praise Cleaning Services to see if they could help me and the owner offered to come to my home to take a look at the RV. He was very polite and friendly. After viewing it he said he could clean it up inside and out and make it look really good, including the carpet and upholstery. We agreed on a price and he actually came out the very next day which made me very happy. They, the owner and one other worker, worked very hard for hours. In fact, I was surprised by how much time they spent on it. But I have to say it looked fantastic by the time they were done. Amazingly, the carpet came out clean and the bad smell was gone. Where I was embarrassed and ashamed by how dirty it wa s before, now it's a pleasure to go inside. In fact, I'm ready to take a trip in it somewhere. Praise Cleaning Services did a great job and I would definitely recommend them. Thank you Praise Cleaning Services!" 5★★★★★ - "What a lovely, caring, gentleman Uzor is. Top notch, professional, diligent, a pleasure to do business with. He will be getting all our business from now on. To top it off, he charged a third of what other places quoted me. Thank you so very much!!!" 5★★★★★ - "Wow, Great Company! I recently spent over two weeks trying to find a company to come and detail my 5th wheel that could bring their own water and power as it sits in a remote location. Uzor really came through for me when others would not. He and his crew, Felix and Patrick came out and worked on the detailing for over 7 hours and the trailer looks brand new again! He even went above and beyond and came back out to help me with one more thing on his day off. I cannot say enough about how great this company is and I will definitely be calling them again whenever I need detailing or carpet cleaning at my home. Thank you Uzor!" 5★★★★★ - "The cheapest and honest company. The best in town. No hidden fees or drama, just good service." 5★★★★★ - "Was charged the quoted price although my sofa and ottoman were very dirty. He was very personable and professional. It was stated that I could expect a 75% result but I received 90%. He removed stains that have never come out with many previous cleanings. My only small dis-satisfaction was the overspray all over my bookshelves, tables and drapes. I will know to protect my furnishings next time. And there will be a next time. I recommend Praise Cleaning Services." 5★★★★★ - "Nice work, great price there was a little clean up work (some residual water was left in the hallway tiles) that would've been nice to have had taken care of before he left but overall good value for the job done." 5★★★★★ - "He did a great job with cleaning our carpets, recliner, and sofa. He was punctual and thorough and we will definitely use him again. I recommend him for anyone looking at great work at a reasonable price." 5★★★★★ - "Very professional fast a quality work..."
5★★★★★ - "Uzar, Owner, is very kind & the most honest individual you will ever meet. Previously we used ChemDry for the same issue on another sofa. They were horrible, ruined it & refused a do-over. On our new sofa, Uzar did the same job for half the price & a million times better with a re-do guanantee if needed. He took his time to make sure every spot of the cat pee-soaked sofa was clean & new. He was so intelligent, he put the cushions on top of his van to dry in the sun while he cleaned the sofa inside the house. An added benefit was a huge plus - he Tithes 10% of his earnings. This meant a lot to us. Hence the name, Praise Cleaning Services." 5★★★★★ - "Absolutely the best ! Praise cleaning service has been my number one carpet cleaning company for the past 5 years . I love everything about this company . From their great customer service skills, timeliness, impeccable cleaning services and to top it off, unbeatable rate and service for my money. There’s no doubt I’ll continue to work with Praise cleaning services for more years to come. I recommend Praise cleaning to anyone needing the best deal and services in carpet cleaning." 5★★★★★ - "Had service done 6 weeks ago. Heavy traffic on the carpet since then. The carpet still looks good. Truck came very shortly after I called to schedule. Workmen were polite, clean, diligent and willing to answer all my questions. They finished quickly and even did extra work I needed without being asked." 5★★★★★ - "Very courteous and efficient. He called early to let me know he would be a half hour later than expected. I was happy that he took such good care of my wool rugs and I didn't have to take them somewhere to be cleaned." 5★★★★★ - "Praise cleaning services are great! I called them at noon on a Tuesday and they were available to clean the carpets that same afternoon, but I had to be sure my dog was not in the house (PNW weather, so wet paws) so we scheduled for the following morning. They came over at the agreed time and finished everything in an hour. They were prompt and efficient! Not to mention they were super friendly. The cost of their services were reasonable. I will be using their services again!" 5★★★★★ - "I chose this company because he was cheaper by far than every other company I considered and promised no hidden charges. When he realized my carpets were really dirty and had spill stains, he brought a rotary scrubber in and proceeded to work on my high traffic areas. My carpets look brand new! You seriously have to see him in action! Pick this company – ABSOLUTELY AWESOME!!" 5★★★★★ - "Couldn't be happier! Reasonable rates, excellent service, carpets look beautiful and area rugs look new. We were in a time crunch and he made it work. As a manager in the customer service world, Praise Cleaning Services impressed me. Definitely, recommend!" 5★★★★★ - "In a word... PERFECTION! To quote them, they don’t clean carpets, they perform carpet restoration. I must say, that is exactly what they do. They go above and beyond, & they only reason a customer would be disappointed is because that customer would have been impossible to please. 1 100% marks from me"
5★★★★★ - "I called Praise Cleaning to get carpets cleaned on our move out of the Condo I had been in for 13 years. I talked and met with Uzor on Tuesday they cleaned the carpets on Friday and did an outstanding job! I will use them again in the future and will recommend them to all my friends! Thank you for a Job Well Done!!" 5★★★★★ - "The service was great. I would not hesitate to call him again." 5★★★★★ - "Great job and quickly done.I was able to get an appointment on Monday morning when I called on a Saturday afternoon. The guys worked quickly and did a great job. I will use them again in the future." 5★★★★★ - "We had Kevin come by to work on the carpet in my parent's bedroom. My dad had taken a fall and as a result had got quite a bit of blood on the carpet. Kevin was very professional and worked to get the stains out. The carpet looked good as new, we were all impressed and would definitely recommend this place. Thanks again, Kevin." 5★★★★★ - "Very happy with the work they didI've used this service twice already for carpet cleaning and i've been very happy with the results both times. I'd recommend their services." 5★★★★★ - "Excellent Carpet Cleaners! I contacted Praise Cleaning Service to clean a carpet in our rental. Praise was able to schedule us on very short notice and had the best estimate with no hidden costs. He was on time and did an excellent job cleaning a very dirty carpet our tenants left behind. The carpets now look like new! We are very pleased with the overall service and will definitely use them again." 5★★★★★ - "Excellent Job! Second time I have hired them and they continue to do a great job! They are efficient, thorough and reasonably priced. Very professional and a pleasure to work with. 5★★★★★ - "Excellent service. Thank you for the wonderful carpet cleaning service offered by the Praise Carpet cleaning company today. We're very pleased with the professional and immediate service. Thank you"
5★★★★★ - "INTEGRITY!!!!!!! I can always count on Eric to get the job done efficiently, quickly and at a fair price. I can usually get my carpets scheduled and cleaned in a couple days. Customer for life!!!" 5★★★★★ - "Quick, Professional, pleasant, exceed expectations. So you are having your carpets cleaned! You check around, make a decision based on your personal expectations and pull the trigger, right. That is what we did and we had the satisfaction of meeting two very pleasant young men, who without fuss greeted us courteously, and set about fulfilling their allotted task which they did completely plus a little more that they did through curtesy i.e. Vacuuming a bedroom carpet., without comment. Arrives on time, did what they said they would do, no fuss, left quietly. We will call these gentlemen again." 5★★★★★ - "Quick in and out. Carpet looks great!" The man was SO nice, came on time, was able to fit me in on super short notice and offered to clean my stairs free. I will DEFINITELY recommend to anyone looking. The carpets look great and smell amazing!!!" 5★★★★★ - "His fellows didn't show up. I called and he came personally to clean it. Excellent job"
5★★★★★ - "Did I mention they did all of the above with a great attitude as well? We utilize their service for our two business as well as our home. I would recommend to anyone and everyone." 5★★★★★ - "We will definitely use Praise Cleaning Services again. It has been more than 7 years since our office had the carpets professionally cleaned, and when Uzor was finished the carpets looked brand new again. He spent extra time in those high traffic areas and gave special attention to stained spots. The carpets look amazing. I will definitely use Praise again at the office and I also plan to schedule them for my home. They do excellent work and below cost. Uzor actually did more work than intended and the cost came out less than original bid! High Quality, Highly Recommended! Great, honest and efficient!" 5★★★★★ - "Their only negative was time management. They were professional, trustworthy and did an outstanding job." 5★★★★★ - "Great job! Will definitely use this service again." 5★★★★★ - "Made real effort to please me and do job I requested." 5★★★★★ - "Excellent experience! Praise did a great job cleaning my carpet." 5★★★★★ - "Quick appointment. Good communication. Excellent job. I had my bedroom carpet and two wing chairs cleaned. Uzor set an appointment quickly for me as I was anxious to get the job done. On the day of the appointment, he communicated to say he could come earlier but gave me the choice of sticking to the original time. Efficient and fabulous job. Carpet and chairs look amazing. I will use Praise again." 5★★★★★ - "I used their service to do both power washing and carpet cleaning. The price was fair, and they did an excellent job with both services. My 20-year-old carpet was literally brought back to life, and they were able to get stains off my patio that no other service had been able to do. Would definitely recommend them and will use them again." 5★★★★★ - "Uzor arrived on time, reviewed with me the quoted price for work requested, and immediately began to clean our carpets, including stairway. The results were nothing less than spectacular! He was fast, professional and worked very hard. Less than three hours later, my carpets are dry and I could not be more pleased with the results. I am giving Praise Cleaners business cards to all of my friends!" 5★★★★★ - "Very professional, nice group of guys, did a great job and was very fast"
5★★★★★ - "I've been a real estate agent for 15 years and I've used a lot of cleaning service vendors. Praise Cleaning Service came in and completely stunned me with their cleaning process. He goes the extra mile, bringing in his own equipment, and doesn't just steam the carpets, he extracts the dirt with a 3-step process. I've seen a huge difference between them and my past vendors, and will be using them from now on. On top of all that, they are super responsive and show up on time." 5★★★★★ - "Thanks for doing such a terrific job! Everything looks great!" 5★★★★★ - "Awesome, Reasonable, and Goes Above And Beyond! Praise Cleaning Services is excellent! I have known the owner for the last four years, Uzor, and he's been my regular carpet cleaning guy for my home and business in that time. He does an impeccable job and I'm very happy. I always refer him to friends and tell them that he is my life long cleaning guy! He's just great. He really tries to get your carpets as clean as possible, letting you know if a spot is just too dirty or can't be fixed, and goes above and beyond to do everything for you! And the best part are his prices: they are so competitive! If you need your carpets cleaned, look him up!" 5★★★★★ - "Uzo called within 10 minutes after my search request on HomeAdvisor and was at my home by 10am the next morning even though his business is more than an hour from my home. He was fast, efficient, went above and beyond my requests. The best part was ONE price, no extra requests for projects or charges. Affordable. I was impressed. I highly recommend them!" 5★★★★★ - "Very happy with the service & the service provider." 5★★★★★ - "Praise cleaning is a very professional company and I would hire them again. It is not always cost of the job but how well the job is done and the quality of the customer service. An A in my book." 5★★★★★ - "Praise (Uzor) is a consummate professional; detail oriented, will continue to do business with him. He even has better price than all the competitors. He spent time prepping the floor and when he was done cleaning, the carpet look new again. Thanks Uzor." 5★★★★★ - "He arrived early and did a strong job in cleaning up what I requested cleaned. Will hire again." 5★★★★★ - "We were so pleased with Uzor and will have him back the next time we have our carpets cleaned. He was so polite and worked hard. Thanks Uzor!" 5★★★★★ - "Awesome job with everything. Great service and affordable. Will use this service again." 5★★★★★ - "Great job. Came in and cleared all the furniture and cleaned the carpet Did a fantastic job. Fast and efficient." 5★★★★★ - "Great job. On time, courteous and it all looked great when done. Thanks again." 5★★★★★ - "Great guys, answered phone and came the next day!! Thanks Uzor and partner for coming so quickly and giving valuable information on vent cleaning. We were very happy with the service. It wasn't a very big job but both technicians were there on time with a smile and did a great job!!" 5★★★★★ - "Uzor was very accommodating and efficient. Will definitely use him again." 5★★★★★ - "Excellent job cleaning our carpet and great attitude. Left the carpet sparkling clean. I would recommend praise cleaning services. Good price too." 5★★★★★ - "He had a very good and happy attitude. He did a wonderful job on my carpet and for a great price." 5★★★★★ - "Fast response and scheduling. Completed the work on schedule as promised. Excellent quality work and a great value. Will use Uzor on my next project and would definitely recommend his service." 5★★★★★ - "I have used Uzo several times now and have never been disappointed. He makes my carpets look better than new and leaves my house smelling wonderful. This last time I had him clean my old leather furniture and they look like I just bought them. I have used other cleaners in the past but I never will again. Praise Cleaning Services are absolutely worth a phone call. Give them a try and you will use them again and again." 5★★★★★ - "Excellent service and friendly. We are happy with the results. Up to date equipment that gets the carpet really clean." 5★★★★★ - "We were extremely satisfied with the price, end result and service of praise services. We would recommend to anyone. Thank you." 5★★★★★ - "5 star review for a job well done!" 5★★★★★ - "Called in the morning and he came that afternoon, was fair, honest, hard working and a Christian man. He made our ten year old carpet look like new. Very happy and already booking to have our other rentals done. Could have done it cheaper but what I really wanted was for them to get clean, so really you do get what you pay for and we feel we hit the jackpot!!!!! Thank you, thank you, thank you." 5★★★★★ - "Our fellowship has multiple services and events every week. Since we also serve dinner at our mid-week and Saturday night services our carpets really take a beating. Over the years we have been so pleased by the work done by Praise Cleaning Services. They are reliable, professional and after they clean our carpets, the stains are gone and the carpets look as good as new. It's hard to find good companies to work with but we are very thankful that we have found Praise Cleaning Services to clean our carpets." 5★★★★★ - "Great customer service. Very honest and up front with what I can expect from the job." "Love, love, love how clean our carpets look. Service was outstanding and we will call you again, only next time, we won't wait so long! Thank you so much!" 5★★★★★ - "He did a marvelous job on our over-trafficked carpet. The job he did turned out much better than we could have expected, considering the lack of quality of the carpet. However, it looks so much better that we may not have to replace it for another 1-2 years. And, much appreciated his timely arrival." 5★★★★★ - "Very prompt and professional service. A great job at a great value. I highly recommend them." 5★★★★★ - "The BEST carpet cleaner I have had in the 6 years I have lived in Portland. Uzor could not have done a better job! He called ahead to confirm, provided a very fair estimate and took great care with all of my carpeting, rugs and upholstery. I have had my carpeting cleaned once a year for 6 years and he got out stains that no-one else has been able to remove! I was about the get new carpeting and thought I would try one more cleaning service. Uzor just prolonged the life of my carpeting and saved me thousands of dollars! I will not use anyone else ever!" 5★★★★★ - "Very good and thorough job. Great value for the price." 5★★★★★ - "Searching for the best service, quality and value?...Search no further...This company is prompt, clean, efficient and extremely reasonable... Best I've come across EVER! Use them; you won't be sorry." 5★★★★★ - "I am very happy with overall service. Uzor did a very good job especially edges." 5★★★★★ - "The service technician did everything right the first time and went the extra mile and cleaned 20' of hallway carpet without being asked. He was extremely polite and curtious to me. I forgot my check book at my other house and he said no problem, send me a check in the mail Uzor is a super nice man with a big warm smile. I'll use this guy again. That's why I gave him a 5 score on every category." 5★★★★★ - "On-time, delivered what they promised. Bravo!" 5★★★★★ - "Uzor was fabulous! He was prompt in his communication and appointment set up. He showed up a bit early, to get set up and was very respectful of the house. Our carpets had endured 3 months of a far from potty trained dog and a negligent owner, so he had is work cut out for him. In less than an hour, he had our 300 square foot living room carpet looking brand new. A few small stubborn stains remain, but the especially worrisome ones are gone and it looks fantastic. We plan on using Uzor again!" 5★★★★★ - "I would give Praise Cleaning a 5. Uzor was very nice. They worked around our schedule. The price was very competitive. There were several stains we thought were not going to come out, but the carpet looks brand new. We will definitely use him again!" 5★★★★★ - "Uzor did a fantastic job in cleaning my apartment's carpets in a timely and professional manner. I highly recommend this company!" 5★★★★★ - "Our white Berber carpet had a dirty traffic pattern that the previous cleaners had not been able to remove entirely so our expectations weren't high but they were hopeful. Our cleaner spent a lot of time, energy and product and now our carpet looks fantastic! He did a wonderful job and I recommended him to 3 people that same day. We are so pleased to have found him." 5★★★★★ - "Pleased with the service and outcome. The best part is Uzar--the kind of person you'd be comfortable with in your home." 5★★★★★ - "Friendly and anxious to do more than needed. My only problem is that my furniture was left in disarray, so I have to reassemble the sectional and put it back." 5★★★★★ - "Uzor gave me a quote and stuck to it. He got me on the schedule quick and got the job done. My carpets feel nice and soft rather than hard and crunchy like other carpet cleaning services. Great job!" 5★★★★★ - "Uzor gave me an honest estimate right on the spot and offered additional labor to scotchguard our carpet at no extra charge. He and his crew did a great job with the cleaning and made sure we are satisfied. He followed up with an additional blower to speed up the drying process. Overall it a very well done job. Thank you Uzor." 5★★★★★ - "Praise cleaning responded to my Service Magic request almost immediately and quote a very reasonable price to clean a large light yellow sectional. I was nervous when he arrived to clean the couch because it was SO discolored from years of young people and dogs. The end product was amazing - a vary thorough job and looked almost new again. Very good customer service, excellent job and I would definitely recommend on responsiveness, quality of workmanship and price." 5★★★★★ - "The project was done with professional attention to details and customer service. I could not have asked for a better results. Thanks to Praise Cleaning for a great looking carpet!!!" 5★★★★★ - "Actually they turned up 2.5 hours late!!!!! We started with a terrible feeling. But they did a very thorough job and we had to tell them nothing. They did more than what we expected or agreed. So we voluntarily paid more than what we agreed to pay. it was not only good to have their service but also good to KNOW Uzor! Good luck." 5★★★★★ - "Went far beyond what he had quoted me but didn't charge extra. GREAT customer service and reasonable prices." 5★★★★★ - "I would call him back for other cleaning projects." 5★★★★★ - "They did a great job." 5★★★★★ - "Uzor was prompt, polite and easy to work with. I would highly recommend him to anyone." 5★★★★★ - "Praise Cleaning went above and beyond on my job. Extremely professional. I would highly recommend Praise Cleaning." 5★★★★★ - "Did an outstanding job! 10 out of 5 stars! Thank you!" 5★★★★★ - "My husband & I are very pleased with the service done by this company. When the gentlemen came out to our home he was very professional and very polite. I will be calling this company back when I need cleaning done again." 5★★★★★ - "Nice guy, showed up early, good price and nice work, thank you." 5★★★★★ - "Fast, friendly, good results, I would recommend the service." 5★★★★★ - "Mr. Eric did an amazing job. He was very helpful and very courteous. The jobs were done in a very timely manner. We would recommend your service to all our friends and family. Thanks so much!" 5★★★★★ - "They were very professional, polite and the prices were excellent. The owner himself came out and gave me an estimate and then cleaned my micro-fiber, suade couch. In addition to my couch, he also shampoos my carpets. He took his time to do the job right. I was so impressed with his work, I posted pictures of the completed job on Facebook along with a copy of his business card. I clean my carpets every 3 months, I now have a new carpwt cleaning company I will be using for all my cleaning services. I highly recommend the company, he took the job on as if it was his own home. I have and will continue to refer his services." 5★★★★★ - "Very professional and great service at very reasonable price." 5★★★★★ - "I would recommend hiring Praise Cleaning to anyone that wants to have their carpets cleaned. They arrived on time and worked hard to rid my carpets of difficult stains. I felt comfortable and safe having them in my home and will be calling them in the future for all of carpet cleaning. I am so glad that we found them!" 5★★★★★ - "Top notch job. Would highly recommend." 5★★★★★ - "Uzor was fantastic and did a tremendous job cleaning our suede leather sofa. He showed up on time, did the work in a timely and thorough manner, and even cleaned our rug in addition to the couch. I would highly recommend using Praise Cleaning Services." 5★★★★★ - "Good job. Friendly service." "Praise cleaning do a good job. He even remove the paint on the carpet for us." 5★★★★★ - "Excellent customer service! After the first cleaning method didn't produce the results I wanted, he came back out to use a different method at no extra charge. From the moment I first spoke with him, he was personally invested in providing service to my satisfaction. Satisfaction." 5★★★★★ - "Uzor was pleasant and professional!!" 5★★★★★ - "Great rates and really works with you." 5★★★★★ - "Great job! On time, worked hard, ensured I was satisfied with the result. I would recommend." 5★★★★★ - "Did a great job, but late on appointment. Would still recommend you even though you were late cause the work was excellent and affordable." 5★★★★★ - "I got great service from Praise. They did a very good job under difficult circumstances. All of my family members work, my husband had been sick and we had a limited amount of time to move out and clean. Praise did a great job." 5★★★★★ - "Oh my! Where do I start. This has got to be the best company I have ever hired to do a job period. I moved out of an apartment and it needed to be cleaned. I am a single 56-year-old guy that was not a slob at all but with apartment standards so I can get my full deposit back. I decided for the first time ever to hire someone to clean it. I google searched and came across this company. It was Sunday morning at 5 am I called the number expecting to get a recorder but instead, IZOR answered. We talked and I said I need it cleaned spotless by Tuesday. He said no problem, called me on Tuesday and said it’s done. I went and inspected it, and it looks like a brand new unit.... great communication, the price was very good and job OUTSTANDING!!!!!! Don’t you dare use anyone else ... I never ever write reviews, but I had to for this company... thank you so much!!" 5★★★★★ - "We needed a good end-of-lease cleaning for our son's apartment in Forest Grove. His 2-bedroom apartment was very dirty, so I thought we would need to forfeit his deposit. We contacted several cleaning companies, but we were most impressed with Praise Cleaners. They gave us an excellent price for apartment and carpet cleaning and committed to coming on the date requested. They showed up on time with a team of three people and went to work. We returned after nearly three hours and found the apartment and carpets in excellent condition. During the apartment return with the property agent, she remarked that our apartment was being returned in nearly the best condition she had so far seen! As a result, we expect to receive back all or most of our security deposit. We would recommend Praise Cleaners to anyone needing a great job done at a very competitive price." 5★★★★★ - "Uzor and his crew are wonderful. People get a star these days just for answering the phone. He answered, had all my questions right off the bat, had a same-week appointment for move-out clean and carpet clean, texted with status updates through the day of work, and did a great job! I noticed later they missed one small cupboard but they did such a great job and only had one cleaner with this Oregon weather so I don't blame them at all. He also recommended a carpet stretcher who was also able to come out same week and they did a great job as well. I will absolutely use them again and would highly recommend them." 4★★★★☆ - "Highly recommended! Hired them to help my in-laws with projects and house cleaning once per month. Highly recommend!" 5★★★★★ - "Praise cleaning service is awesome. They are fast and efficient. I have used them 3 times over the past 5 Years. We have kids and dogs and they are able to get the odar and stains out of my couches and rugs. Thank you again for the awesome service." I had praise cleaning service clean a apartment home that was moved out of. I honestly was shocked at the depth and cleanliness of their cleaning. I have used multiple companies for my apartment turnover, but now plan to strictly use praise cleaning services as they did an amazing job. If you want your home cleaned with quality that you yourself would do definitely hire them. Thank you so much for the job well done." 5★★★★★ - "This is the 2nd time we have used them to clean our travel trailer exterior. The 1st time they washed and waxed it. They were prompt, very courteous, and did a great job. This time our trailer needed a serious wash after camping in a dust bowl. I called them on the way home from our trip and they were able to come out that evening and wash it. I put out all the slides and the awning And they did a very thorough cleaning from the roof down to climbing under the slides to clean and shine our wheels and tires. Our truck was still hooked to our trailer and they went above and beyond and washed the truck as well. We will definitely use them many times again." 5★★★★★ - "Amazing service and very helpful!!" 5★★★★★ - "They did wonderful job!!! Words can't describe how happy I'm when I saw the place. So clean and smell so nice. I highly recommend this company to anyone who needs a move in/out clean service. Love it!!!" 5★★★★★ - "Great job! They were professional and made sure I was completely satisfied before they left." 5★★★★★ - "Excellent work . Very honest people . Wonderful job, very prompt and professional service. Pleasant people to work with." 5★★★★★ - "Cheap, fast, good, my husband says pick any 2. I would say we got close to all 3 but many would say it is not cheap. If I were to have done all that they did in half a day, it would have taken 3 weeks and then I would need to start back at the beginning. At the beginning of the day we agreed on the price. This was for putting the house on the market and floors(carpets & otherwise), walls, windows, cabinets, bathrooms, ceiling fans, mirrors, they were easy to have in your home and can't say enough good about them." This company does amazing work! They were able to come in and offer same day services after another company accepted the job and then said they could do it. Praise cleaning services eliminated the stress or move out for our family and offered an affordable price. I tipped extra because the work was amazing. This was definitely a divine appointment. I highly recommend their services and will use them again!" 5★★★★★ - "A big job. My dad had moved out of his home after being a shut in for many years. Praise Cleaning service was able to clean the house up despite my not being able to clear furniture and they took an enourmous amount of junk to the tip for me. The price was a bit steep but to be fair, so was the job. Very nice work. The house is inhabitable now." 5★★★★★ - "Excellent workers! On time they do a great job! Very respectful hard workers. Makes the Apartment smell nice and fresh. Highly recommend to do the job. I am very pleased with the work they have done." 5★★★★★ - "Old wooden floor made to look very nice. Thorough cleaning throughout.."
PRAISING GOD FOR *Praise Cleaning Services*!!! Definitely a divine appointment!!! They quickly fit me into their busy schedule. In four hours they did a *move out cleaning* of our @ 1000 sqft manufactured home including shampooing rugs and getting the *pet odor* out. They were absolutely amazing, professional, courteous and affordable. Our landlord was so impressed she refunded us every penny of our original *move in deposits. * She was really impressed they were so detailed and did an excellent job cleaning the window and sliding door tracks. I highly recommend these guys. The *glory of the Lord* shines in their work as we can all sing *Praises* for a job well done!!!" 5 ★★★★★ - "They were able to come the same day. Very polite and professional. I'm very happy with the work they did. Great rates!" "What efficient work--expert quality, cleaning up very well as the job ended. Very cost effective; they cam early, working quickly." 5★★★★★ - "Five Star company...above and beyond! I cannot express my gratitude enough to these guys! I was in a need it now situation, and they were at my house in 30 minutes from the time I called, on a Saturday. I'm sure after working all day, they were done, but they still came out and did the job. Excellent work, very reasonably priced, and nice and professional. Thank you again for everything!!" 5★★★★★ - "Great Work, Would Recommend!" "Quick professional and thorough. These guys came on time and cleaned a carpet that I would have considered garbage to like new condition. Awesome job across the board." 5★★★★★ - "I hired Praise Cleaning to clean an estate that had not been cleaned in many years. Floor and countertop grout had years of dirt. Carpet was expensive but so dirty I thought it would need to be replaced. Driveway and walkways were dark with dirt and mildew. The whole exterior and interior needed cleaning. After two very long days, they had everything clean. Carpet and grout looked very good. Driveway looked new. I was very impressed with the effort they put in on a difficult job.and would absolutely hire them again." 5★★★★★ - "Beautiful work! Praise Cleaning Services powerwashed our driveway and two decks and .... wow. I never knew it could look that good. Uzor was lovely to work with, and everyone was ontime and conscientious. I would recommend their services widely." ★★★★★ - "I needed someone to clean the townhouse I was moving out of. I was a little desperate and it was a last minute request, but they were able to accommodate me and clean my place just in time! Looked great! " Above and beyond. This team cleaned large areas of latex paint off my linoleum floor. They saved me from having to replace the floor. They did the job very thoroughly. Thanks! I wish I could post the pictures. They really tell an awesome story. From scraped up paint in bright colors to gleaming lino." "Great Job My sidewalks and driveway look great." 5★★★★★ - "Friendly guys with awesome move-out cleaning service, made me not want to leave the apartment anymore. Kitchen floor and appliances were left shining, and the bathroom was looking brand new. Loved it!" 5★★★★★ - "Very good job for a good price. After talking over the job praise cleaning did everything I asked for in an appropriate amount of time at a very competitive price. I'm very happy and will use them again." 5★★★★★ - "Perfect Job! Excellent work; very customer oriented." 5★★★★★ - "Just had to give Praise Cleaner folks a 5 star because they are that good! Called them to help with Van carpets and upholstery. They worked 3 hours and made a near 10 year old car interior look showroom ready!!! Hire these men because you will be happy you did. Amazing job guys, we'll be back." 5★★★★★ - "My rug has never been cleaned so thoroughly. He spent a great deal of time going over it many times. I very much recommend this cleaning service. Thank you!" 5★★★★★ - "The cleaner from Praise Cleaning Services did a fantastic job!" 5★★★★★ - "He really did an outstanding job of getting out some old stains." 5★★★★★ - "Absolutely great service was provided to our facility at Adara Oaks Manor Assisted Living in Gresham, Oregon. Uzor and his team came in and impressed both residents and staff by incredibly fast, efficient, quality service. Not only his work was thorough and evident but the result was 5+. The cleaning team was courteous to staff and were able to keep equipment out of the way for residents to transfer per their usual routines. The efficiency was truly impressive. Would definitely recommend this company as they live up to their name and SHOULD be praised for a job well done!" 5★★★★★ - "Camper looks great, thank you! No need to come back out for the carpet. Thanks again!" 5★★★★★ - "I scheduled a move-out cleaning based on their excellent reviews and I was not disappointed. They arrived on time and worked all day to make my house clean and ready. I’m very happy with the results!" 5★★★★★ - "Great job on cleaning my deck! Uzor was honest and responded quickly to my call. I will definitely use his service again and will recommend him to others." 5★★★★★ - "Uzor, property looks so much better. Thank you!" 5★★★★★ - "Professional, courteous, and a job well done. I've had them in three times now, once my wife had accidentally put some bleach on our carpet. They came through, tinted it, did an excellent job, couldn't tell it had been bleached. They went through our new place and did all the carpet cleaning. Every time it looked amazing. Extremely polite, and just a nice experience." 5★★★★★ - "On time, excellent job, gave me more than I asked for. I will definitely recommend to friends and family!" 5★★★★★ - "I just wanted to let you know how wonderful it was to come home and see our driveway, pathways, and sidewalks so clean! It looks like brand new. Awesome job and I would definitely recommend you to our friends." 5★★★★★ - "Uzor did a fantastic job and worked around our schedule arriving at 5:00 am to complete the work needed." 5★★★★★ - "Uzor arrived on time as promised, completed the job (and then some) and left my driveway, walkway and surrounding areas looking as good as the day we bought the house. He is professional in every sense of the word and I would not hesitate to recommend him to others. I will definitely use his services again in the future." 5★★★★★ - "We are glad to use them and willing to recommend them to everyone who wish a thorough cleaning done." 5★★★★★ - "Did a great job, everything is beautiful. Cleaned our driveway, sidewalk, walkway & patio. Looks brand new. Thanks"
5★★★★★ - "Pleasant, easy, and professional with excellent results." 5★★★★★ - "They did an excellent job with the pressure washing. I was having a party in few weeks and I contacted the Praise Cleaning services. They came out early in the morning and started cleaning the front of the driveway and they completed it in an hour. They did my back yard in less than 2 hours and did a professional work. I will be calling them back again next year." He was on time, very clean, informative and professional. He walked through our house before he started, we talked about problem areas, he did NOT have lots of extra services that cost more money and the end result was fantastic!!" 5★★★★★ - "Very genuine and kind. Cleaned like crazy n seems trustworthy. Considering hiring a on a regular basis." 5★★★★★ - "Wow! Fantastic Job. Fast, Friendly, Super Job! I didn't think a couple of those spots would come out, now I have no idea where they were! Great job at a super price!" I have five dogs in my household, which means lots of dog hair and dirty paws tracking in and out of the house. And with the recent rains, one of my dogs did not want to go outside to do his business, so he did it inside all over our area rugs. I found Uzor through a general Internet search and found his price to be very affordable for an 8x10 area rug, so I threw in the rest of my area rugs and got a smoking deal. My rugs look like new again, and not even a trace of dog hair! Thank you Uzor for a wonderful job done!" 5★★★★★ - "Very responsive and I would highly recommend them." 5★★★★★ - "I called Uzor at Praise Cleaning with an urgent request to clean my father's apartment while he was in the hospital. My situation was time sensitive and they were able to go quickly to assess the situation and gave me a fair quote to do the job. We realized we also needed help moving out furniture and taking items to goodwill and the dump which they gladly took on for a small extra charge. The cleaning was meticulous and very well done! Such a relief to have Praise Cleaning step in and take on a big job that I couldn't do on my own. Thank you!!! Highly recommend for move in, move out...or ANY cleaning job. These guys will take are of you!" 5★★★★★ - "Great service! Very responsive and did a great job with our bar stools. They look so much better! :)"
5★★★★★ - "The job they did was incredible!" 5★★★★★ - "Excellent, prompt, and professional service. Outstanding quality of work, conscientious performance of tasks. Power wash of driveway, sidewalk, concrete block flower beds, and cedar fence all expertly done. Would highly recommend Praise Cleaning Services for any and all cleaning services." 5★★★★★ - "The cleaner from Praise Cleaning Services did a good job! Personally, I liked him a lot. He was here for a long time to get the job done, and his price was good. We had him over to do a post construction cleaning. We had remodeled our entire upstairs, and he came and cleaned it all. He did everything from scraping, cleaning sticky windows, vacuuming, mopping floors, and more. The work was excellent. I can't say much more than that they were great." 5★★★★★ - "Uzor showed up on time and gave a very competitive quote. He is very polite and honest with his advice. He did a fantastic job in cleaning my pavers patio! He stopped half way to check with me and made sure that I was ok with the pressure that he was using since I was worried about washing too much of the sand away. I will hire him again for washing my pavers and decks." 5★★★★★ - "I had my driveway power washed by one of your nice men today and he did a great job. Thank you! " 5★★★★★ - "Fast, friendly and effiecient. Rugs look like new." 5★★★★★ - "Uzor and his crew are hard working guys. They not only cleaned my carpet but also gave us a very reasonable quote on the get ready sale: moving heavy furniture including piano, cleaning windows, and deep cleaning the kitchen, bathrooms, and closets, etc. Uzor even came back upon my call to further clean a couple of missed spots without any delaying. It's a joy to work with people like them who have a sense of ownership towards their jobs and customers. I would like to use their service again when I move into the next house." 5★★★★★ - "My two white couches came out nice and clean. They did a great job, were personable and professional, and very reasonably priced." 5★★★★★ - "Carpet came out cleaner then when it was cleaned before and had him come out the next day and do some pressure washing." 5★★★★★ - "I am a single mom, who barely makes ends meet. I was stunned at the quoats I was getting from other carpet and upholstery places. I filled out a form on service magic. Uzor contacted me with his service and told me how they will do the work for free what ever I could afford to give. He came to my home cleaned a futon mattress my sectional my carpets a big chair...and I gave him what I could afford. My couch looks new, he put extra effort in on my beat up carpets, that helped make them clean. he is a very kind person with a big heart. I thank you so very much." 5★★★★★ - "Praise Cleaning Services provided exceptional service and delivered a top-quality cleaning of our carpets, area rug and sofa. Their value is second to none I found anywhere in town or online. I would highly recommend them to anyone!" 5★★★★★ - "Responsive friendy and very thorough."